I am on a pasta and greens kick! Today, though, I used "testarolo" instead of pasta. 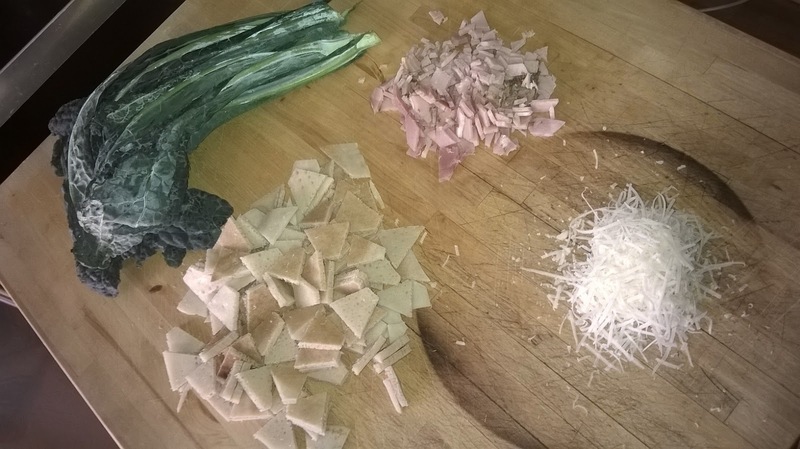 Testarolo is a specialty from the Lunigiana region of Tuscany. It is essentially a sort of flat bread, baked on a terracotta disk that is heated in the hot coals of a fireplace. 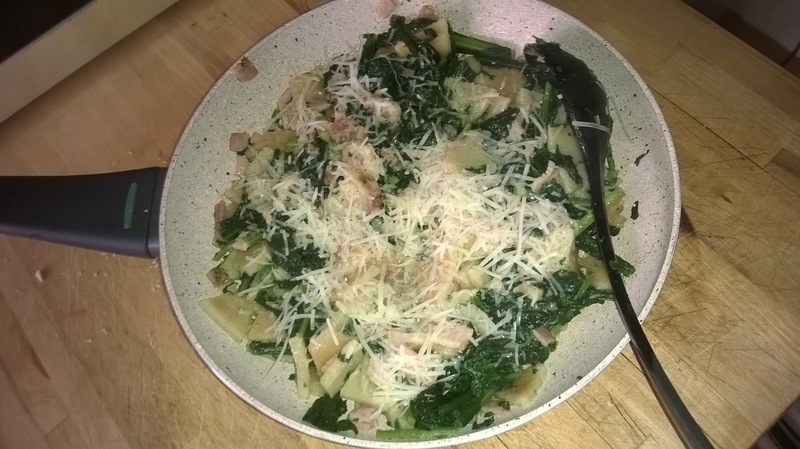 It is usually made with a pesto sauce - see my recipe here . So here we go.. for two generous servings you will need about 1/2 lb Fresh kale, washed with tough stems removed and chopped. Put a large pot of water on to boil. When it comes to a boil, add salt (I used about 1 teaspoon of coarse kosher salt) and put the kale in to cook. 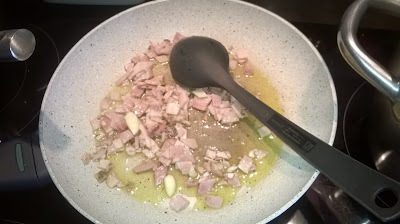 In the meantime, saute the ham and garlic in the 2T extra virgin olive oil. I use a non stick fry pan. 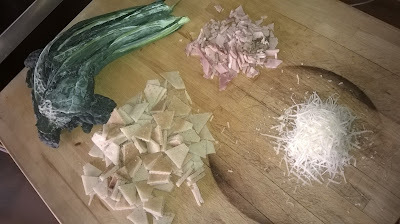 When the kale is cooked tender (about 15 minute at a slow boil), do not drain but put the cut up testarolo or pasta into the pot and continue cooking. For testarolo it only needs to cook about 30 seconds. For the pasta, use the cooking time given on the package. When the testarolo or pasta is cooked, drain in a colander, Transfer to the frying pan and toss over high heat until mixed well. Sprinkle with the grated parmigiano cheese and Buon Appetito! What shall I make for dinner?